On 18 October, while at sea, they published their first update of their trek. "... We have been out at sea for four days and we have been extremely sea sick. Vomiting two days in a row. Finally today we can see land of South Georgia and tomorrow we will reach South Georgia. We have seen wales, dolphins, pinguines and that has made our mood a bit better. " This expedition communicates only via Facebook. So there is not much information around for the last last days. In addition, we do not have any map of the itinerary they have chosen. 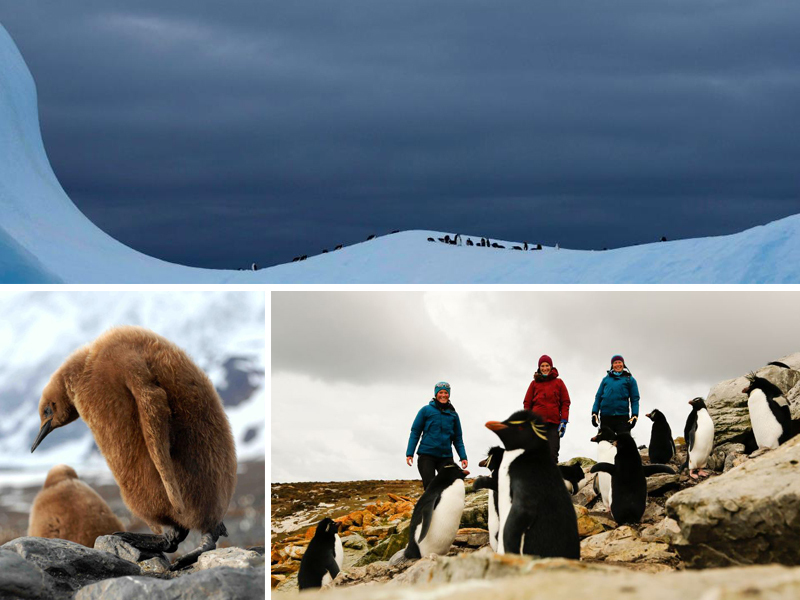 They meet a lot of penguins colonies and of course they meet amazing mountain sceneries.